Being last on the match sheet I actually never got chance to draw today. Peg 12 was left in the bag for me which included scales for one half of the section. 15 anglers today so we were spread out across the bank nearest the car park. 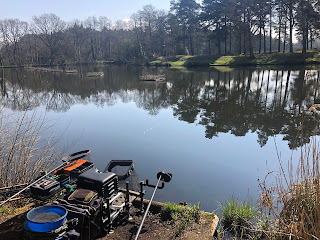 Waggler and feeder rod to fish close to the middle of the lake and I selected two other pole lines at around 13-14 metres in front of me. I managed to get a decent depth of around 5 feet and the pond is pretty uniform at this depth. Bait included maggots, casters, worms, sweetcorn and hemp. I knocked up a small amount of groundbait for the feeder and one of the pole lines. 20 minutes later I had telescoped the section and managed to start the process again. 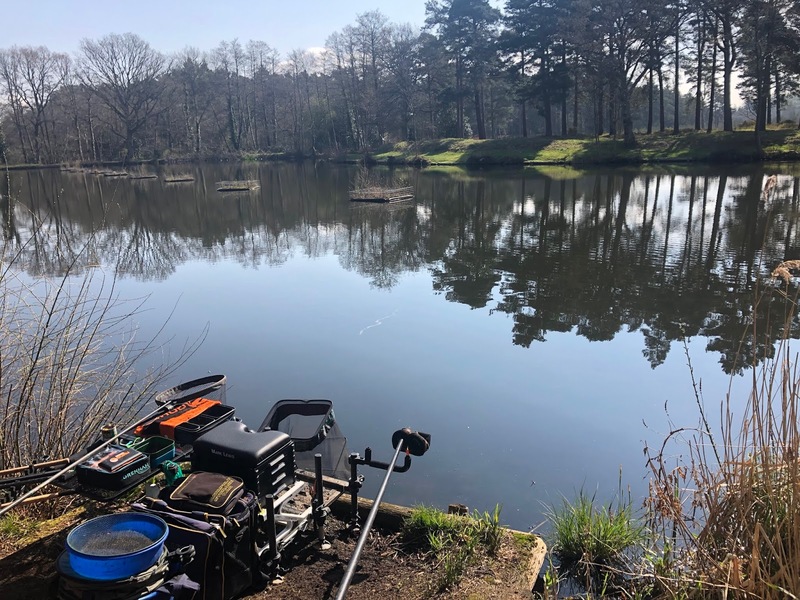 Groundbait and casters on the right pole line and chopped worm on the left line and straight out with the feeder. The feeder had barely settled before the tip was rattling and a chunky rudd in the net. I was using a long hooklength and the fish were intercepting the bait on the way down as the next cast proved this with a fish immediately on and in the net. After around 8 fish the feeder line had died off despite casting around the area. 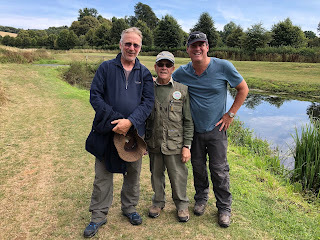 The lads to my left were catching on the pole lines and those down the lower numbered pegs on the waggler line given that information the waggler rod was the next attack. Casting was hampered by the tree overhanging my peg however using a 12ft rod helped and it was straight into fish. I’d caught mainly rudd so far and the waggler line produced the same. Changing the shotting to a bulk down the line to try and connect with better fish. 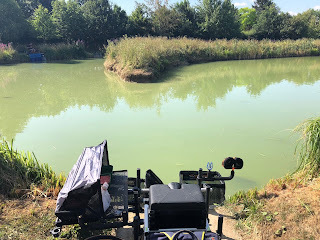 The wind was playing up which made reading bites very hard, one minute dark water, the next white water… everyone was having a whinge about the wind today! When the waggler line backed off I tried the pole lines however only caught on the chopped worm line. The rest of the match I was catching fish by rotating through the pole, waggler and feeder lines with bites coming throughout the day. 10lb on the nose, a beautiful net of silvers securing second in section behind Richard Cain. 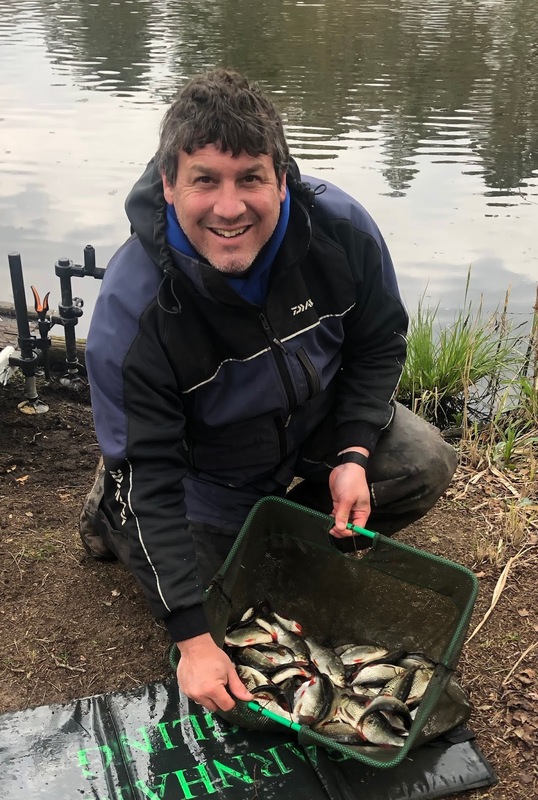 Congratulations to Ian for taking 27lb of fish from his waggler line. A great day out with some lovely silver fish being caught. 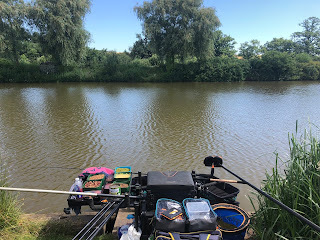 The pole breakage only cost me around 20 minutes of time at the start of the match and luckily it broke at the end of the section enabling me to telescope the section loosing around 30cm however more importantly allowing me to still fish the lines I’d plumbed up and prepared. Bites all day long on the waggler and feeder lines. The chopped worm line was the only pole line that any fish came from however no bonus fish today. The groundbait and caster line was dead. My previous visit to Stockbridge also proved that the worm was better than groundbait, note to self for future visits!